Vietnamese can board the plane to all continents in the world. Our airlines can fly to many countries. However, we do not have any civil flights that can land in the United States. When can we do that? Recently, the Prime Minister of Vietnam has approved the scheme of direct development of air routes between Vietnam and key countries. The objective of the project is to promote development investment, strengthen exchanges and international integration. 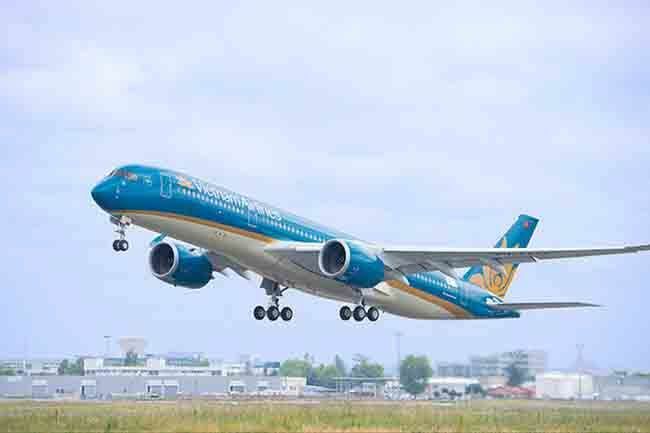 In the US market, Vietnam Airlines will open new direct flights to the US with the option of starting at a West Coast (San Francisco or Los Angeles) in 2018. Currently, if flying from Vietnam to Europe takes about 12 hours, flying to the US takes about 16 hours. Every flight to the United States, passengers have to go through many flights, lost time waiting for the obstacle, causing costly money and time. While the demand of Vietnamese people to travel to the United States is increasing, the possibility of a direct flight is an urgent need. Direct flights to the US not only address the needs of consumers, it is also a matter of proving the status of the country. Entering a thriving market like the US will become a milestone for the growth of the national airline. Moreover, the opportunities for trade and foreign trade are more and more open. How can we fly to America without resting in the middle of the road? The first condition is to have genuine aircraft. Vietnam can now meet the "dream fly" of Boeing or Airbus. The second is the good man. In order to overcome the technical review, aviation safety monitoring capability is sufficient and exceeds standards. Human resources must be trained and certified in accordance with standards. The third is a strict legal document system. If you want to fly to Europe, the authorities assess the airline's financial strength and the strength of its fleet and personnel. And with the US, wanting to fly, the airline needs to pass a few more safety standards. Currently, Vietnam has a joint venture with other airlines, but not fly. When we meet the conditions we are ready to wing. Here, our aircraft will carry the dream of conquering the United States of the many students. You see, the road to America is not far away! Types of Visa and American Residences You Need to Know! 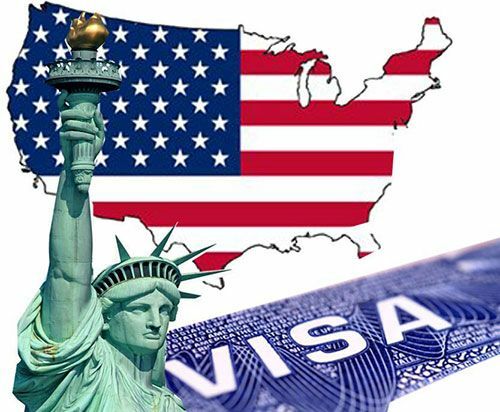 For family members of US Citizens and Permanent Residents, there will also be dedicated visas. However, the number of visas issued for these types is limited every year. Resumes are processed based on the date of filing at the US Department of Immigration. File opening date is called priority date. - F1: Single bachelor of US citizens. - F2A: Permanent Resident and Single Person under 21 years of Permanent Resident. - V: Non-immigrant visa for spouse and children under 21 years of Permanent Resident to go to the US to wait for F2A immigrant visa. - F2B: Single person over 21 years of Permanent Resident. - F3: The married child of an American citizen. - F4: Brother and sister of American citizens. - IR1 / CR1: spouse of a US citizen. - IR2 / CR2: biological child / spouse of a US citizen, single child, under 21 years of age. - IR3: Adopted by US Citizens. - IR4: Adopted by US Citizens (adopted in the United States). - IR5: Parent or stepparent of the US citizen. - K1: The bride (citizen) of US citizens. - K3: Spouse and spouse of US citizen. - E2: Expert with high qualifications. - E4: Settlement by special visa.